Take a botched WordPress Arvada theme website design and get it to a point where it is visually competitive and content equivalent to existing competitors websites. Replace substandard images and re-format content. Create a complete backup of all files and folders. Download and re-construct the website using the WordPress Divi theme locally and out of the public view. Replace images with high quality stock photography. Re-develop all pages and posts, fleshing out content, graphics and layout. Optimize images for web delivery. Add security, automated maintenance and backup capabilities. Publish to our development server for client inspection and minor edits. Publish to live server for all the world to see and benefit. Presenting the blog to visitors in a grid format with excerpts. The large feature images help users identify areas of interest. 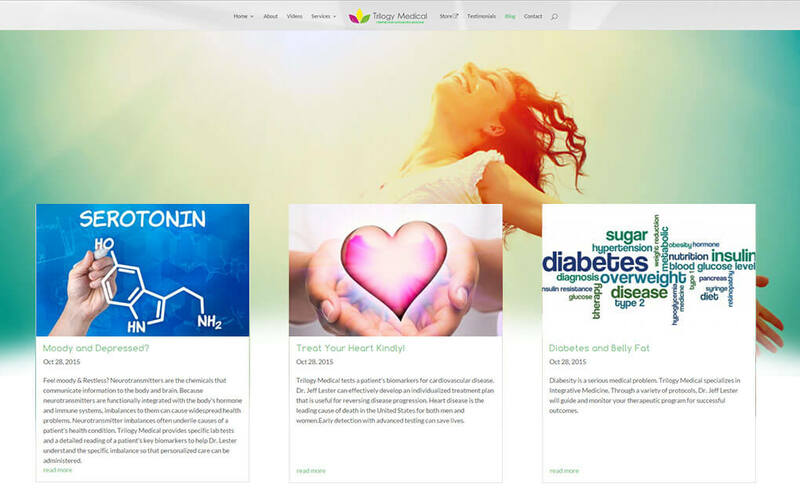 Introduction Section to blog post on cardiovascular disease and how Trilogy Medical addresses that. High quality stock photography has been used throughout the site. Many graphics were made in house by Flash himself. Facebook, Yelp and Google testimonials ported over onto the Testimonials page. 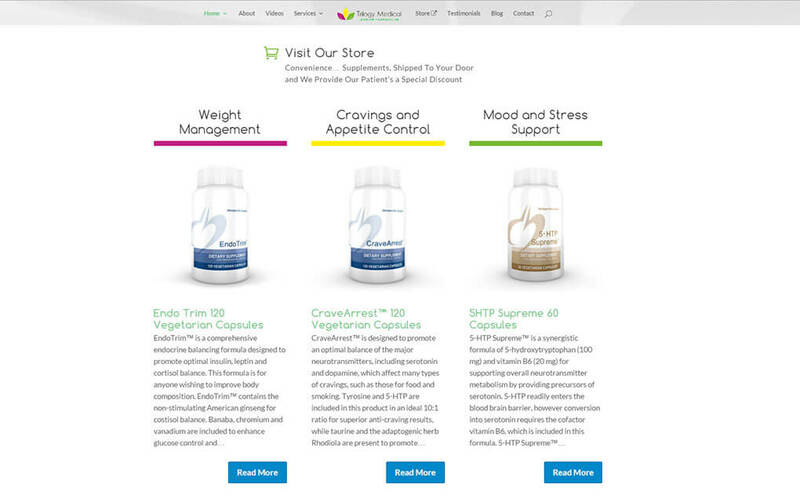 Home page presents an overview of health supplements available through the website.